Concierges, entrust us with your romantic requests. Our solution 100% free and without commitment. Order or request a quote of the romantic surprises that your customers want. We give you a supplier rate. 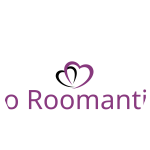 After acceptance, SoRoomantic manage the purchases and the delivery for each order. Order possible until noon for delivery the same day.